The Yamasee were a multiethnic confederation of Native Americans who lived in the coastal region of present-day northern coastal Georgia near the Savannah River and later in northeastern Florida. The Yamasee War was one of the most disruptive and transformational conflicts of colonial America. It was one of the American Indians' most serious challenges to European dominance. For over a year the colony faced the possibility of annihilation. About 7% of South Carolina's white citizenry was killed, making the war a competitor for the title of bloodiest war in American history in terms of percentage of population killed. The geopolitical situation for British, Spanish, and French colonies, as well as the Indian groups of the southeast, was radically altered. The war marks the end of the early colonial era of the American South. The Yamasee War and its aftermath contributed to the emergence of new Indian confederated nations, such as the Muscogee Creek and Catawba. The Catawba, also known as Issa, Essa or Iswä but most commonly Iswa, are a federally recognized tribe of Native Americans, known as the Catawba Indian Nation. They live in the Southeastern United States, on the Catawba River at the border of North Carolina, near the city of Rock Hill, South Carolina. They were once considered one of the most powerful Southeastern Siouan-speaking tribes in the Carolina Piedmont, as well as one of the most powerful tribes in the South as a whole. Slavery among Native Americans in the United States includes slavery by Native Americans as well as slavery of Native Americans roughly within the present-day United States. Tribal territories and the slave trade ranged over present-day borders. Some Native American tribes held war captives as slaves prior to and during European colonization, some Native Americans were captured and sold by others into slavery to Europeans, and a small number of tribes, in the late eighteenth and nineteenth centuries, adopted the practice of holding slaves as chattel property and held increasing numbers of African-American slaves. The Tuscarora are a Native American tribe and First Nations band government of the Iroquoian-language family, with members today in North Carolina, New York, and Ontario. They coalesced as a people around the Great Lakes, likely about the same time as the rise of the Five Nations of the historic Iroquois Confederacy, also Iroquoian-speaking and based then in present-day New York. This military collaboration brought Indians of the entire region into closer contact with one another. The Indians saw the disagreements and weaknesses of the British colonies, as South Carolina, North Carolina, and Virginia bickered over various aspects of the Tuscarora War. Essentially all of the tribes that helped South Carolina during the Tuscarora War joined in attacking settlers in the colony during the Yamasee War, just two or three years later. During the night, as the South Carolinians slept, the Yamasee debated over what to do. There were some who were not fully pledged to a war, but in the end the choice was made. After applying war paint, the Yamasee woke the Carolinians and attacked them. Two of the six men escaped. Seymour Burroughs fled and, although shot twice, raised an alarm in the Port Royal settlements. The Yamasee killed Nairne, Wright, Warner, and Bray. The unknown South Carolinian hid in a nearby swamp, from which he witnessed the ritual death-by-torture of Nairne. The events of the early hours of Good Friday, April 15, 1715, marked the beginning of the Yamasee War. 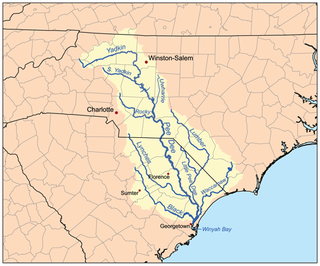 By May 1715 the Catawba sent war parties against South Carolina settlers. About 400 warriors from the Catawba, Wateree, and Sarraw tribes, joined by about 70 Cherokee, terrorized the northern parts of the colony. The Anglican missionary Francis Le Jau stated that on May 15th South Carolinian force of 90 cavalry under Captain Thomas Barker, many of them Le Jau's parishioners, went north in response. They were guided by a former Native American slave who had been freed by Captain Barker's father-in-law Col. Jame Moore. Le Jau was of the opinion that the freed slave named Wateree Jack  purposefully led Barker and his men into an ambush on May 17, laid by a force that he said contained a "Body of Northern Indians being a mixture of Catabaws, Sarraws Waterees &c. to Number of 3. or 400". In the ambush the Northern Indian war party managed to kill 26 of them including Barker, ten of which were Le Jau's parishioners.. The defeat of Barker prompted the evacuation of the Goose Creek settlement leaving it entirely abandoned but for two fortified plantations. Le Jau noted that, rather than press their advantage, the Northern Indian war band stopped to besiege a makeshift fort on Benjamin Schenkingh's plantation. The fort was garrisoned by 30 defenders, both white and black. Ultimately the attackers feigned a desire to have peace talks. When they were allowed in they set about killing 19 of the defenders. After this, South Carolina had no defenses for the wealthy Goose Creek district, just north of Charles Town. A c. 1724 English copy of a deerskin Catawba map of the tribes between Charleston (left) and Virginia (right) following the Yamasee War. The Catawba confederacy emerged from the Yamasee War as the most powerful Indian force of the Piedmont region, especially as the Tuscarora migrated away to join the Iroquois in the north. In 1716, a year after the Catawba had made peace with South Carolina, some Santee and Waxhaw Indians killed several colonists. In response the South Carolina government asked the Catawba to "fall upon them and cut them off", which the Catawba did. According to contemporaries, surviving Waxhaw then either joined the Cheraw or traveled south to Florida with the Yamasee. There is another theory, originating with Robert Ney McNeely's history of Union County, published in 1912, that the Waxhaw continued on as an independent tribe until the 1740s but this seems to lack the backing of primary sources. Surviving Santee are reported to have married into the Ittiwan tribe  suggesting a possible merger. The Cheraw remained generally hostile for years to come. Ocmulgee Mounds National Historical Park, formerly Ocmulgee National Monument, in present-day Macon, Georgia, United States, preserves traces of over ten millennia of Southeastern Native American culture. Its chief remains are major earthworks built before 1000 CE by the South Appalachian Mississippian culture These include the Great Temple and other ceremonial mounds, a burial mound, and defensive trenches. They represented highly skilled engineering techniques and soil knowledge, and the organization of many laborers. The site has evidence of "17,000 years of continuous human habitation." The 702-acre (2.84 km2) park is located on the east bank of the Ocmulgee River. Present-day Macon, Georgia developed around the site after the United States built Fort Benjamin Hawkins nearby in 1806 to support trading with Native Americans. The Anglo–Cherokee War, was also known from the Anglo-European perspective as the Cherokee War, the Cherokee Uprising, or the Cherokee Rebellion. The war was a conflict between British forces in North America and Cherokee Indian tribes during the French and Indian War. The British and the Cherokee had been allies at the start of the war, but each party had suspected the other of betrayals. Tensions between British-American settlers and the Cherokee increased during the 1750s, culminating in open hostilities in 1758. The Pee Dee people, also Pedee and Peedee, are American Indians of the Southeast United States. Historically, their population has been concentrated in the Piedmont of present-day South Carolina. In the 17th and 18th centuries, English colonists named the Pee Dee River and the Pee Dee region of South Carolina for the tribe. The Cheraw people, also known as the Saraw or Saura, were a Siouan-speaking tribe of indigenous people of the Southeastern Woodlands, in the Piedmont area of North Carolina near the Sauratown Mountains, east of Pilot Mountain and north of the Yadkin River. They lived in villages near the Catawba River. Their first European and African contact was with the Hernando De Soto Expedition in 1540. The early explorer John Lawson included them in the larger eastern-Siouan confederacy, which he called "the Esaw Nation." The Westo were a Native American tribe encountered in the Southeastern U.S. by Europeans in the 17th century. They probably spoke an Iroquoian language. The Spanish called these people Chichimeco, and Virginia colonists may have called the same people Richahecrian. Their first appearance in the historical record is as a powerful tribe in colonial Virginia who had migrated from the mountains into the region around present-day Richmond. 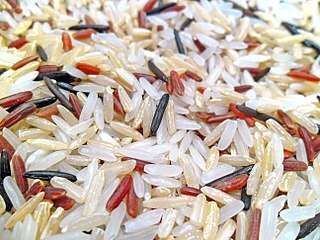 Their population provided a force of 700–900 warriors. Tugaloo was a Cherokee town on the Tugaloo River, at the mouth of Toccoa Creek, near present-day Toccoa, Georgia and Travelers Rest in Stephens County, Georgia. Fort Neoheroka, or Nooherooka, is the name of a stronghold constructed in what is now Greene County, North Carolina by the Tuscarora tribe during the Tuscarora War of 1711–1715. In March 1713, the fort was besieged and ultimately attacked by a colonial force consisting of an army from the neighboring Province of South Carolina, under the command of Colonel James Moore and made up mainly of Indians including Yamasee, Apalachee, Catawba, Cherokee, and many others. The 1713 siege lasted for more than three weeks, from around March 1 to March 22, 1713. Hundreds of men, women and children were burned to death in a fire that destroyed the fort. Approximately 170 more were killed outside the fort while approximately 400 were taken to South Carolina where they were sold into slavery. The defeat of the Tuscaroras, once the most powerful indigenous nation in the North Carolina Territory, opened up North Carolina's interior to further expansion by European settlers. The supremacy of the Tuscaroras in the state was broken forever. Most moved north to live among the Iroquois. On July 17, 2009, the Fort Neoheroka Site was added to the National Register of Historic Places. John Barnwell (1671–1724) emigrated to the Province of South Carolina in 1701. 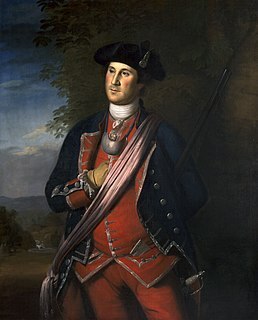 He led an army against the Tuscarora in 1711–1712. Later he served the colony as an official in talks with England in forming the government. He also worked to revive the relationship between the colony and its former allies the Yamasee. The Congaree were a group of Native Americans who lived in what is now central South Carolina of the United States, along the Congaree River. They spoke a dialect distinct from, and not intelligible by, Siouan language speakers, the primary language family of the area. The Cusabo or Corsaboy were a group of historic Native American tribes who lived along the coast of the Atlantic Ocean in what is now South Carolina, approximately between present-day Charleston and south to the Savannah River, at the time of European encounter. English colonists often referred to them as one of the Settlement Indians of South Carolina, tribes who settled among the colonists. Henry Woodward, often referred to as Dr. Henry Woodward, was the first British colonist of colonial South Carolina. He established relationships with many Native American Indians in the American southeast. He initiated trade, primarily in deerskins and slaves, with many Indian towns and tribes. The Cherokee people of the southeastern United States, and later Oklahoma and surrounding areas, have a long military history. Since European contact, Cherokee military activity has been documented in European records. Cherokee tribes and bands had a number of conflicts during the 18th century with European colonizing forces, primarily the English. The Eastern Band and Cherokees from the Indian Territory fought in the American Civil War, with bands allying with the Union or the Confederacy. Because many Cherokees allied with the Confederacy, the United States government required a new treaty with the nation after the war. Cherokees have also served in the United States military during the 20th and 21st centuries. William Bull was a landowner and politician in the Province of South Carolina. Native Americans living in the American Southeast were enslaved through warfare and purchased by English and French colonists throughout the 17th, 18th, and 19th centuries, as well as held captive through Spanish-organized forced labor regimes in Florida. Emerging colonies in Virginia, Carolina, and Georgia imported Native Americans and incorporated them into chattel slavery systems, where they intermixed with slaves of African descent, who would come outnumber them. Their demand for slaves affected communities as far west as present-day Illinois and the Mississippi River and as far south as the Gulf Coast. The trade in enslaved Native Americans sent tens of thousands of them outside the region to New England and the Caribbean as a profitable export. Francis Le Jau was a missionary to South Carolina with the Society for the Propagation of the Gospel (SPG). Born into a French Huguenot family in the La Rochelle region of France he later fled to England during the persecution of Huguenots after the revocation of the Edict of Nantes in 1685. He subsequently converted to Anglicanism and eventually graduated from Trinity College, Dublin. In 1700 he moved to St. Christopher's Island where he served for 18 months at the request of Bishop Henry Compton. From 1706 until his death in 1717 Le Jau served as a missionary to South Carolina based in Goose Creek. The Ittiwan people are a Native American tribe, who lived near present-day Goose Creek. Today, the Etiwan (Ittiwan) Tribe of the Wassamasaw Indian Nation of SC claims to be descended from the original Ittiwan people and is located approximately 30 miles NW of Charleston. South Carolina. ↑ Oatis, A Colonial Complex, p. 167. ↑ Gallay, Alan (2003). The Indian Slave Trade: The Rise of the English Empire in the American South, 1670-1717. Yale University Press. pp. 218, 330–331. ISBN 978-0-300-10193-5. ↑ Oatis, Steven J. (2004). A Colonial Complex: South Carolina's Frontiers in the Era of the Yamasee War, 1680-1730. U of Nebraska Press. pp. 124–125. ISBN 0-8032-3575-5. ↑ Heitzler, Michael (2012). The Goose Creek Bridge: Gateway to Sacred Places. Bloomington, IN: Authorhouse. pp. 64–66. ISBN 1477255389. ↑ Le Jau, Francis (1956). The Carolina Chronicle of Dr. Francis Le Jau. Berkeley, CA: University of California. pp. 160–163. ↑ Le Jau, Francis (1956). The Carolina Chronicle of Dr. Francis Le Jau. Berkeley: University of California. pp. 158–159. ↑ Hicks, T. M (1998). South Carolina Indians, Indian traders, and other ethnic connections beginning in 1670. Spartanburg, South Carolina: Reprint Company Publishers. ↑ Barnes, Annie Maria (3 June 2018). "The laurel token; a story of the Yamasee uprising". Boston, Lee and Shepard – via Internet Archive.